Yippee! It’s Friday! Here we go…. I’m ready to get Happy with my Pharrell look-a-like hat. Love me some karaoke. And I’m good at it. 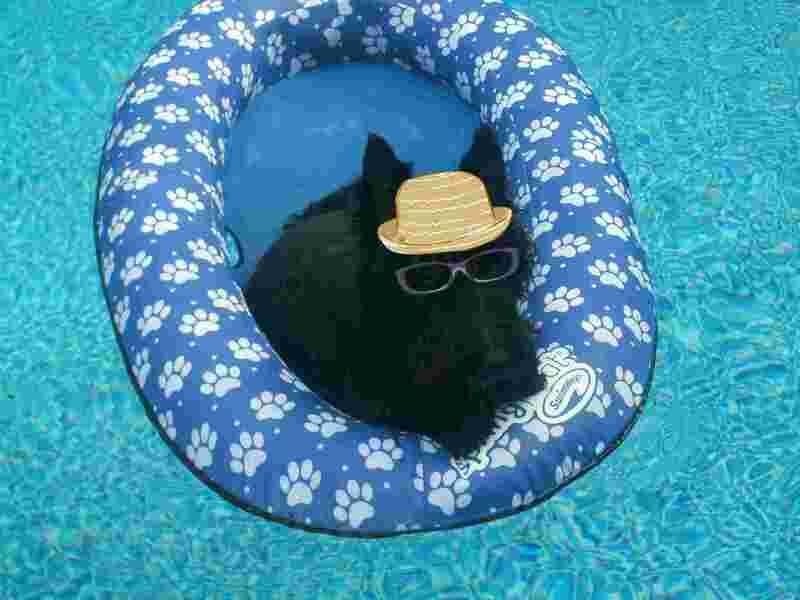 And here’s one of my pals soaking up the sun in the pool. Yes, it’s gonna be a grrrreat Memorial Day weekend! But let us NOT forget what this howliday is all about. So, while we’re all enjoying ourselves, take some time out to give thanks and remember those who served our country. And, for me, that means the K-9 soldiers, too. It’s Memorial Day weekend here where I live. Usually, pools open and people have Monday off, stuff like that. Me? Every day is a howliday as far as I’m concerned. I take every day off and eat as much barbecue as I want. Even enjoy a brewski or two. Let us never forget those who served. Now y’all go out and have fun, K? 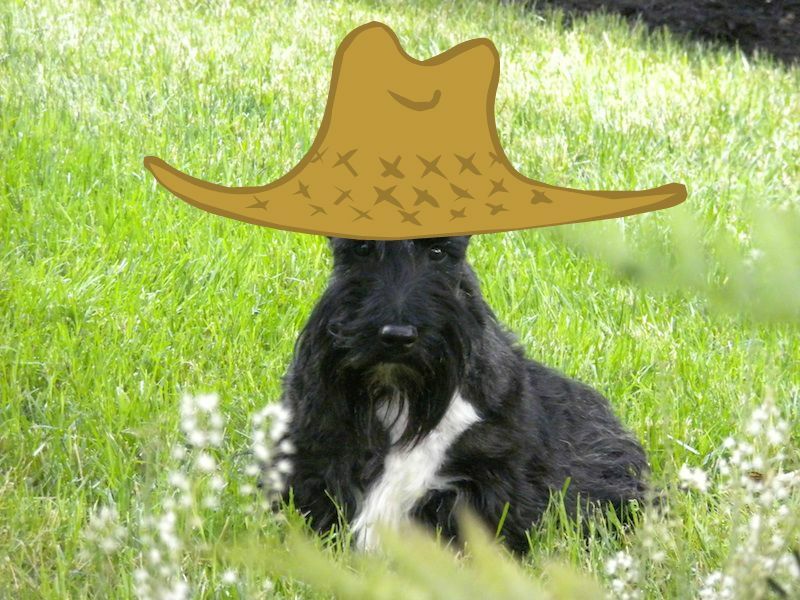 This entry was posted in The Scottie Chronicles and tagged dogs, funny dog pictures, Memorial Day 2015, Scotties, Scottish Terriers. Bookmark the permalink. Chloe! Turn in your Scottie card immediately. You’re not supposed to enjoy that much water. OH MY DAWG!!! Thanks so much for reminding me about the fireworks. yikes. Time to leave the bathroom doors ajar so I can hide beside a toilet! AROOOO! We had enough thunder to send three Scotties into hiding. Hopefully there will be no fireworks this weekend. Good luck with that! Love the hat, Stuart. It looks so much better on you than Pharrell! If there are fireworks, try singing the Happy song loud to drown out the noise! 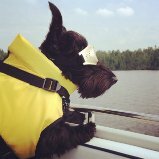 Wows, Scotties in the water…never thought I would see the day…BOL!!! You have a most FABulous and safe weekend Stuart!!! And have a few Brewski’s for me, okay??? Oh, nevermind, I thinks I can do that myself…you knows ~ they go well in margaritas??! Yuppers!